This year, Arizona thrashers Sacred Reich are celebrating the 30th anniversary of their classic album, Ignorance. 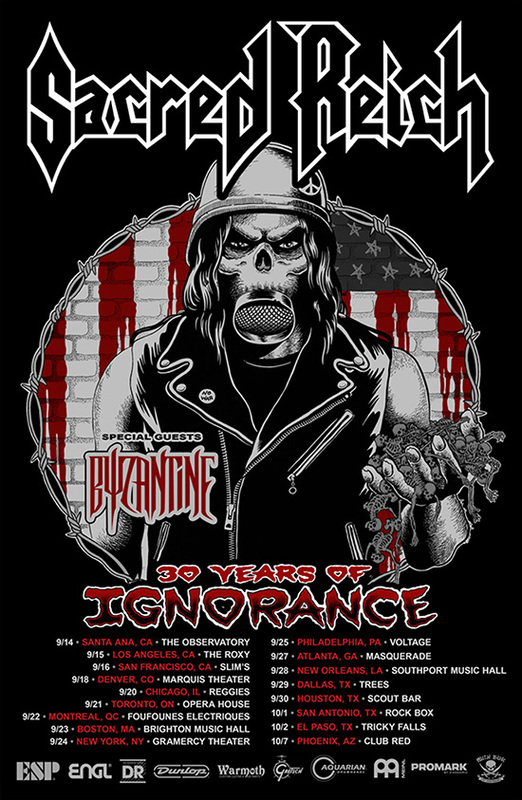 To commemorate this incredible milestone, the band is bringing their “30 Years of Ignorance” tour around the world, which kicks off in Europe in July. Following the European run, the trek will make its way to the USA in September, featuring Byzantine as support. See below for all dates!